Bavaria Yachts is delighted to announce the latest model to join the Cruiser family: the Bavaria 35 Cruiser. 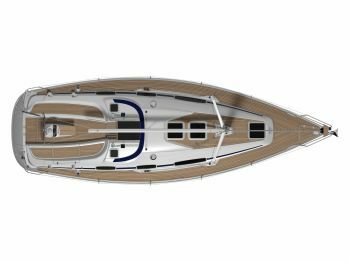 Based on the hull and deck of the current popular Bavaria 34 Cruiser, this new model is a three cabin version. Named to reflect the true size of this yacht, the new 35 Cruiser will have the fresh interior design recently introduced with the stunning Bavaria 43. This magnificent yacht comes with many new and innovative features designed to maintain Bavaria’s market leadership. With an adjustable bulkhead in the aft cabin, configurations of two equal berths or one large, one small berth can be created. The large head and shower is located in the starboard aft section of the saloon. The forward cabin will remain the same as the 34 two cabin version. Drawer storage is provided under the berth. In a change from traditional Bavaria design, the chart table is hinged on the bulkhead facing forward into the saloon by the starboard settee. This is designed to be stowed up to create more seating space. The galley is situated on the port side of the saloon opposite the head and shower, forward of the port aft cabin. A large front-loading fridge has been located under the saloon table. Fridge capacity of this scale has rarely been seen on a 35’ yacht. This yacht will suit families requiring three cabins, the charter market and those wanting maximum cabins with the generous cockpit at the best value. 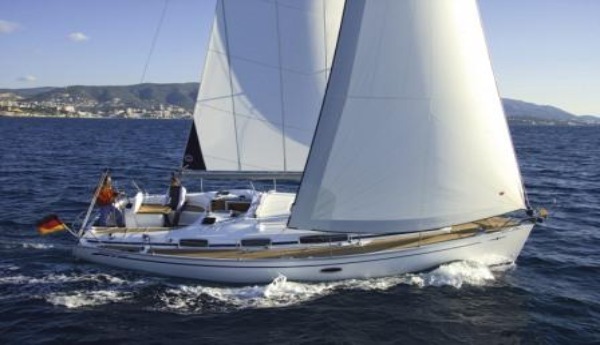 As it is based on the hugely successful Bavaria 34, sailing performance is guaranteed.